Through our Small Contractors Integrate Management System (SCIMS) and ISO 14001* accreditation, at Stoney Pinch we actively seek to minimise the impact of our operations on the environment, specifically with respect to native vegetation, waste, visual amenity, noise, dust, soil and water. Both SCIMS and ISO 14001 place heavy emphasis on continuous improvement being an integral part of our business culture and therefore enshrined in our Company Values. 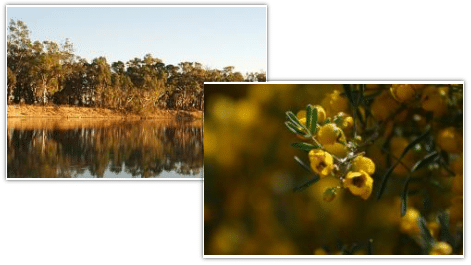 No unauthorised clearance of native vegetation. Avoid, if possible, working on extremely windy days. Introduced weeds will be controlled in accordance with NRM Guidelines. Only clean machinery free of weed seed may enter the site. Rehabilitate quarry sites to best practice standard (see EARF Research Project below). Rehabilitation will be modelled on the Stoney Pinch / EARF Research Funded project Best Practice Rehabilitation Model for Arid Areas. Direct seeded species will be a mix of shrubs and grasses indigenous to the area. In winter, use the Green Army to harvest mallee heads in seed and spread around bare areas.